Hello Everyone! What happened to August?! The beginning of the year always feels like such a rush! In addition I have had some health issues that have set me back on blogging. I’m (hopefully) on the other side of this battle and will be able to post weekly like originally planned! I’ve taken milk crates from Wal-Mart/Target (about $3.99 each) and labeled each one with an hour. 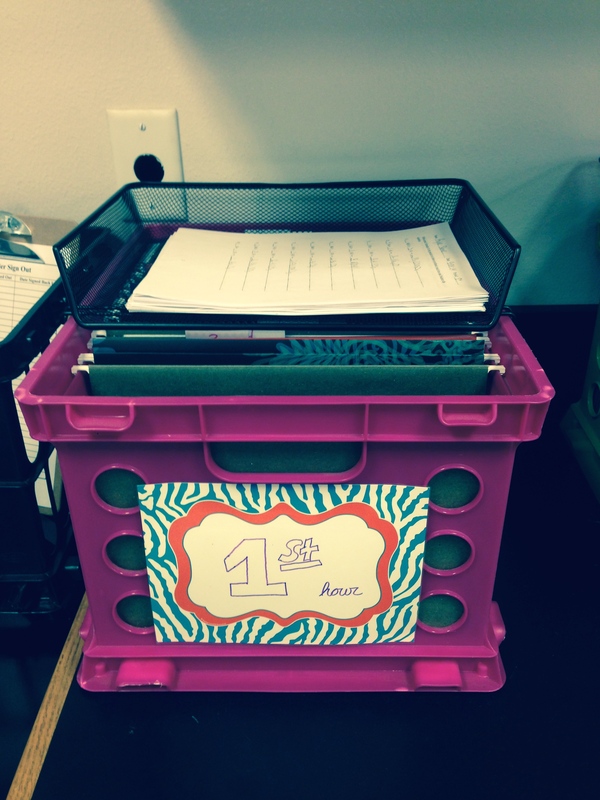 I placed hanging files labeled 1-30 into each crate then a wire basket (from Wal-Mart) on top. I numbered the files so that I don’t have to change student names at semesters. Students are assigned a “random” number which becomes “their” number for the year. Really it’s alphabetical but it remains anonymous for students. So far they have worked really well! I place anything needed for that particular hour in the crate or in front of it. Student’s come into class and know exactly where to look for something AND where it should be returned. I love how everything I need from students in each hour is located in the same spot – which has helped for grading as well! 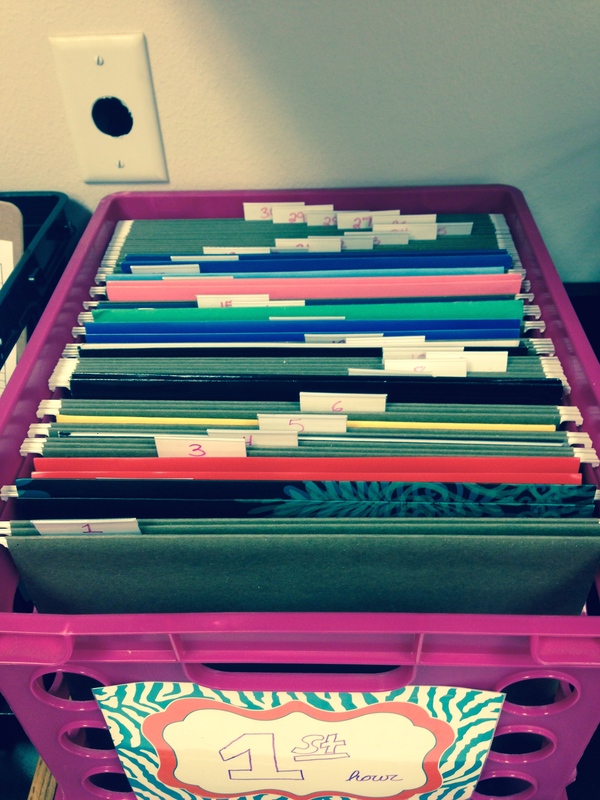 In the hanging files student’s place their Student Data Folder. This particular folder is FULL of information and I will be sharing that with you this weekend! I’m looking forward to the impact of student’s checking and tracking their own understanding on concepts. It will be interesting! 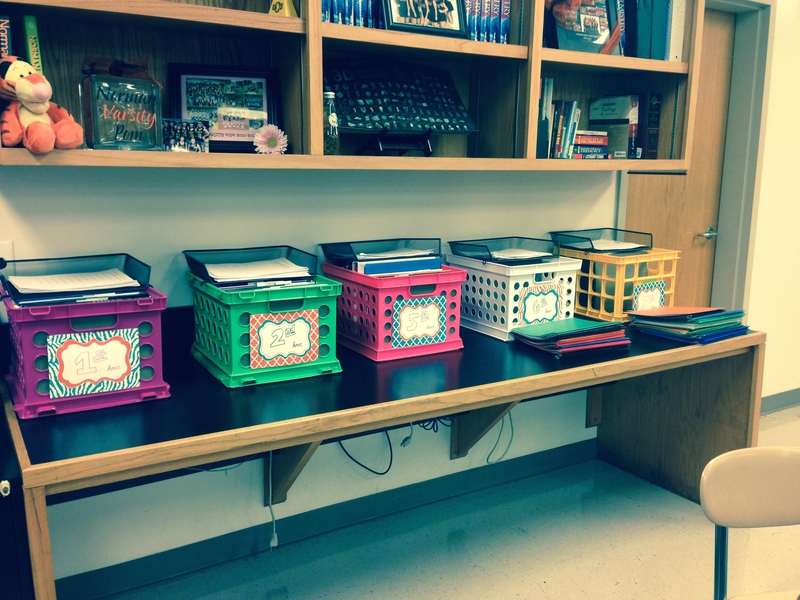 My classes have just finished setting up their folders so this week will be our first full-on interaction with them. Check back for my blog post on Sunday for the update!